The new channel restores the historical creekbed. Large woody debris set in place. Steelhead spawning in restored creek. The District has been assisting in an ambitious restoration of Doan Creek in cooperation with the National Park Service Whitman Mission. 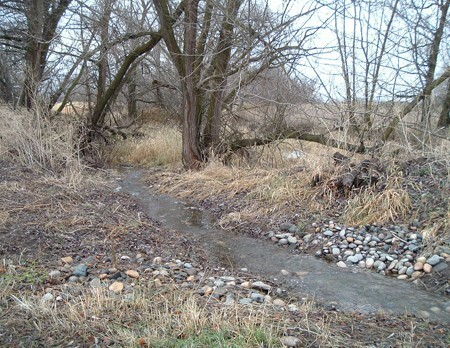 Originally, this shaded meandering creek offered migrating fish another route to reach the Mill Creek watershed. Decades ago, the creek’s water was diverted from its natural course and sent to a straight irrigation ditch. 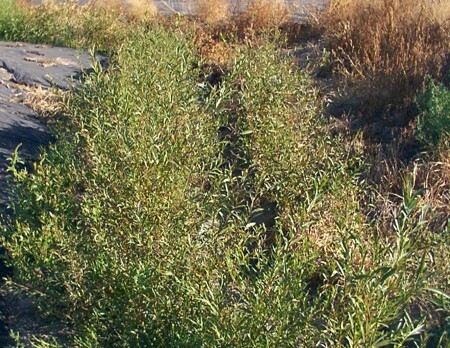 Reed Canary grass, an invasive weed, infested the area, effectively strangling native plants. Yet even as a straight, shallow irrigation ditch, steelhead have been attracted to this water source. 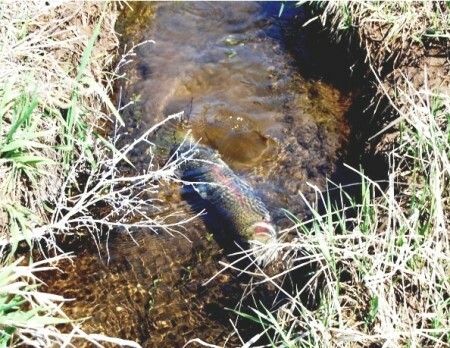 Steelhead have been found in the ditch, apparently seeking habitat. The Whitman Mission and the District began planning restoration of the creek in 2003. 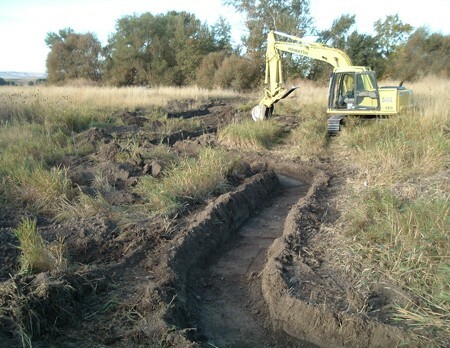 In the fall of 2004, a “new” channel was excavated with meanders that are as close to the original creek route as possible. Pools, gravel riffles, and woody debris jams were constructed in 2005. These structures created rearing habitat for resident and migrating fish populations, including steelhead trout, which are threatened with extinction. Next, light-blocking fabric mulch was installed to eliminate the Reed Canary grass. 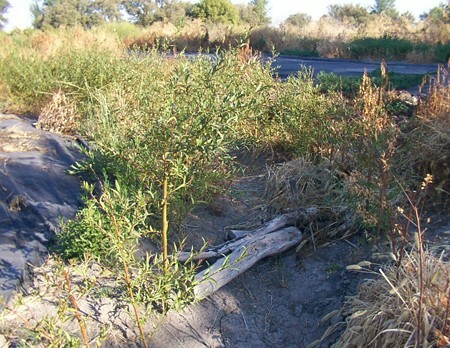 In 2007, the site was planted to native riparian species. The buffer will eventually provide shade, bank stability, food, large wood debris, and protection for a variety of wildlife species. Read the final report here: Final Report For Doan Creek Restoration Project.